Over 500 km north of Sydney is the lovely county of Bellingen Shire on the Bellinger River (different spelling – not a typo). 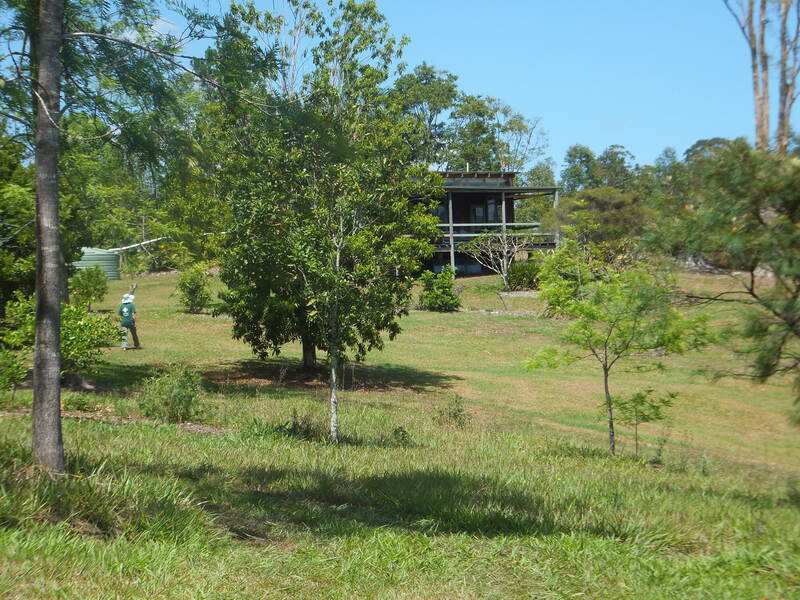 Here, Chris (Katharine’s brother) and his partner Jane have their second home, at Hyde’s Creek. 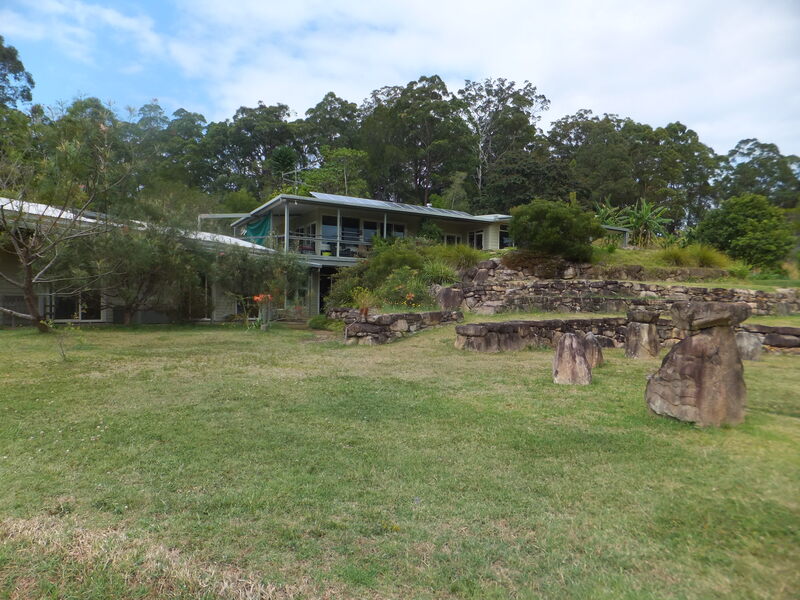 The main house, once the school house, is rented out, so they use the ‘love shack’, which has a bedroom, bathroom, big living room and lovely airy verandah. Chris spends a lot of his time working on his estate of 8 acres. He would like to spend much more time here to get it into the shape they want, but he needs to retire first. Even so, he is growing Seville oranges, from which he makes marmalade, and juicing oranges. 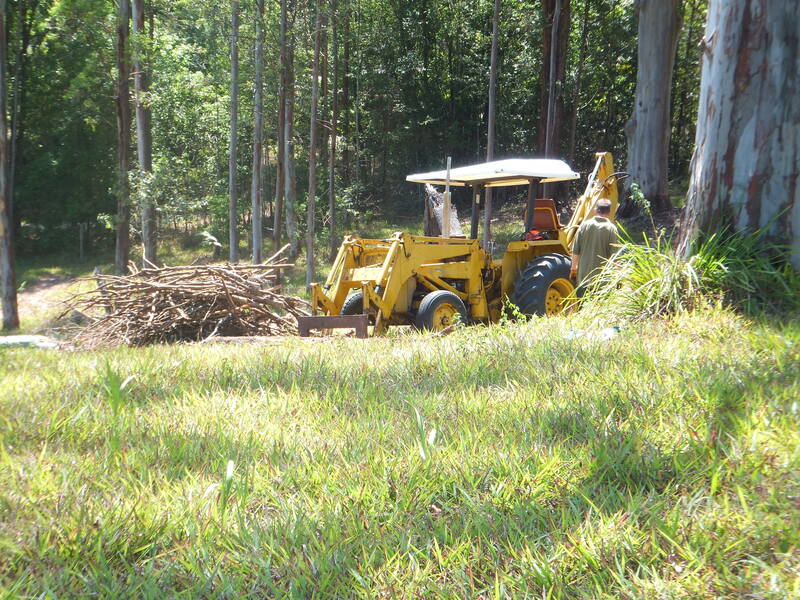 He has fun with his ‘toys’: tractor, digger, chain saw. We stayed in a B & B nearby at a place called North Farm, because there is not much room for guests at Hyde’s Creek. Some days we walk the 3 km from our room to Hyde’s Creek, and along the way we see a remarkable variety of birds: Laughing Kookaburras, Wagtails, Galahs, Straw-necked Ibis, Swamp hen, Cattle Egrets and many others. North Farm is owned and run by friends of Chris and Jane. It is high on a hill with lovely views all round. It’s a smallholding with goats and hens and fruit and veg, some of which we have enjoyed for breakfast: eggs, fruits, home-made muesli and goat’s milk yoghurt. We have breakfast outside, with lots of little blue butterflies fluttering around. The other morning the black-backed magpies joined us, and we watched fairy wrens in the bushes. Katharine was lucky to see both a regent bower bird – brilliant gold and black against the trees – and the glossy black satin bower bird. When it gets too hot we cool off in the pool, keeping an eye out for poisonous spiders. 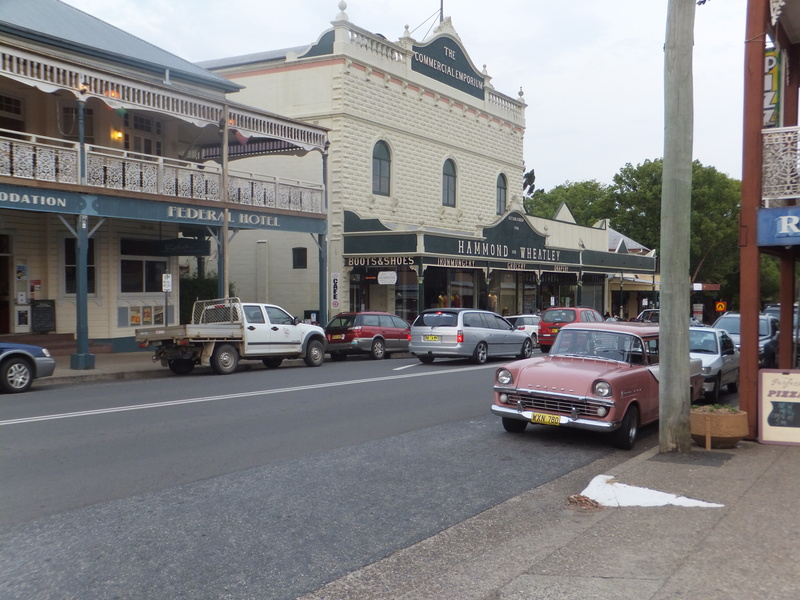 Bellingen is a nice little town with some interesting architecture, including the first ever concrete building in Australia, which now contains several stores, including a rather nice and very expensive dress shop. Katharine bought a dress in the other dress shop. There are beautiful Jacaranda trees in bloom everywhere, including in town. We watched a pair of Southern Figbirds busy eating fruit, but we didn’t see any Koalas, other than on the warning signs. 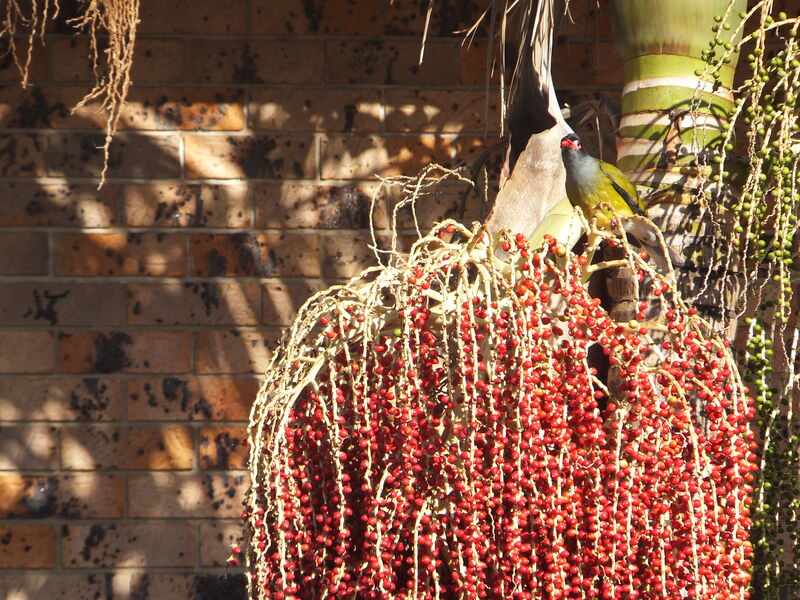 Chris and Jane have several friends living in the area, and we visited David and Rowan and sat in their garden watching Eastern Spinebills, a kind of Honey Eater. We’ve also seen both Yellow-faced and Blue-faced Honey Eater.